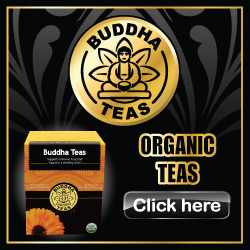 Burn Fat & Lose Weight With Burdock Tea! There are a vast majority of options to consider when you are exploring different weight loss methods. Many weight loss pills and rapid weight loss programs may seem promising however few realize these methods can have detrimental effects on the body. Natural herbal methods of losing weight are often times safer alternatives to consider. Burdock tea is a great example among many herbal teas that make excellent choices for those looking to lose weight because it is natural and comes without the detrimental side effects that other weight loss techniques may have. Many people are drawn to the idea of rapid weight loss because many offer promises of losing great amounts of weight in a short amount of time. This method often times requires starvation which causes the body to lose muscle mass rather than fat mass. Although losing weight quickly may seem like something of great potential, oftentimes rapid weight loss leads to serious side effects like dehydration, malnourishment, and in the worst cases, death. Furthermore, oftentimes this method doesn’t work permanently. You may end up losing a great deal of weight, but as soon as you stop the habits you’ve taken up to lose the weight rapidly it will return just as quickly. This is because most of the weight lost during rapid weight loss programs are water weight due to dehydration. The dangers of weight loss pills depend on what type of weight loss pills you use. Some pills that work by absorbing fats lead to painful side effects such as abdominal pain, infectious diarrhea, rectal pain, and other side effects such as discharge and increased defecation. The use of fat absorption pills can also result in vitamin deficiencies and in rare cases this can lead to other side effects like rashes and loss of energy. Although new weight loss methods are being developed all the time, the safest methods continue to be herbal weight loss options. There are various herbal teas that can assist in weight loss by suppressing appetite and offering vitamins and nutrients that the body needs to gain more energy. Burdock tea is a great example of an herbal tonic for weight loss. Burdock contains a compound known as inulin which has been shown to be able to increase the body’s metabolism, allowing it to burn fats quicker. Burdock tea also helps to cleanse the body, particularly the digestive system. With the digestive system cleansed it can work more properly which can reduce cravings and allow the body to absorb more vitamins and nutrients from food. Burdock tea comes without the serious side effects that other weight loss methods do, making it a much better choice to consider if you are looking for natural ways to lose weight.